Calm, composed and always beaming a smile on his face, Maurice Bernard is an American actor who has become one of the most respected TV stars in the US. Over the years, the extremely talented actor has mesmerized TV viewers with his versatility and pure flair for engaging in make-belief acts. Beginning his career from the ’80s, he is considered a veteran in the industry and still continues keeping fans on their feet today. As an actor, he is now best known for the roles he played on General Hospital, a soap opera in which he portrayed the character of Sonny Corinthos, among other series and independent movies. Maurice Benard was born on the 1st of March, 1963 in San Francisco, California, United States. His father has been identified as Humberto Morales, a man who used to make a living as a bakery superintendent while his mother, Martha Morales, worked as a bank employee. Although an American man, Benard has Nicaraguan and Salvadorian roots. The actor grew up San Francisco with his parents and developed deep interests in the world of entertainment from an early age. After finishing high school, he was quite dissatisfied with the traditional education he got so he decided to gain another kind of education in the open job market as he began to seek for a place for himself where he can showcase his talents. Maurice Benard started out by becoming a model when he was in his early twenties. He proved to be quite good at the job which was because he was good looking and had the right physique. After modeling for some time, he decided to give acting a shot and started featuring in many stage plays and theatrical productions in the San Francisco Bay Area, gaining loads of experience in the interpretation of roles given to him. Benard soon branched off to TV afterward. The actor kick-started his TV acting in 1987 when he joined the cast of All My Children, a very popular TV soap opera which aired on ABC. Having gained loads of experience from the theater, he wowed TV audiences with his immense talent in front of the screen and won over many fans. He acted in All My Children for about two years from 1987 to 1990 and bagged a nomination to receive Outstanding Male Newcomer: Daytime Award by the Soap Opera Digest. Following his work in All My Children, Maurice Benard went on to feature in other TV series such as DEA where he portrayed Curro in 1990 and Stat, a TV sitcom in which he portrayed Jorge Rosario in 1991. He also appeared in an episode of Dark Justice, a crime drama TV series in 1992. Benard’s biggest break on TV came in 1993 when he joined the cast of General Hospital, a daytime TV medical drama. He played the recurrent role of Sonny Corinthos on the TV series. General Hospital was very popular and launched him into a new level of fame. The actor’s talent was indisputable and mesmerizing. In fact, many fans often described him as a “breathe of fresh air”. For his work on General Hospital, Maurice Benard bagged many nominations and won some awards. Some of these awards included the Soap Opera Digest Award for Outstanding Lead Actor, the Daytime Emmy Award for Outstanding Lead Actor in a Drama Series and the Soap Opera Digest Award for Outstanding Lead Actor, among others. Apart from his appearances in TV series, Benard has also featured in independent movies such as Lucy & Desi: Before the Laughter in 1991, Ruby in 1992, Mi Vida Loca in 1993, Restraining Order in 1999, Crystal Clear in 2000 and The Ghost and the Whale in 2015. Maurice Benard is a happily married man. He is married to a woman identified as Paula Smith and they have remained married for many years. The actor was only 27 years old when he tied the knot with Paula on August 11, 1990. They have constantly shown love for each other ever since, attracting the admiration of fans. The couple now has three children together. Their first child, a girl whom they named Cailey Sofia was born on the 18th of September, 1994. Their second child, also a girl called Cassidy Rose was born on the 18th of April, 1999. Their third child is a boy named Joshua James, born on the 5th of December, 2004. The couple also have an adopted daughter called Heather Ann. Heather Ann is the daughter of Paula Smith’s sister. Benard and his wife decided to adopt her when her mother passed away. Having had an illustrious career as an actor of high repute in the USA, starting out since the ’80s, Maurice Benard is expected to have raked in a considerable amount of money over the years. The actor has appeared in major TV series such as General Hospital and has won awards for his distinguished acting and these are milestones that have unarguably fetched him a fortune. At the moment, his net worth has been pegged at $2 million by celebrity wealth calculators. 1. 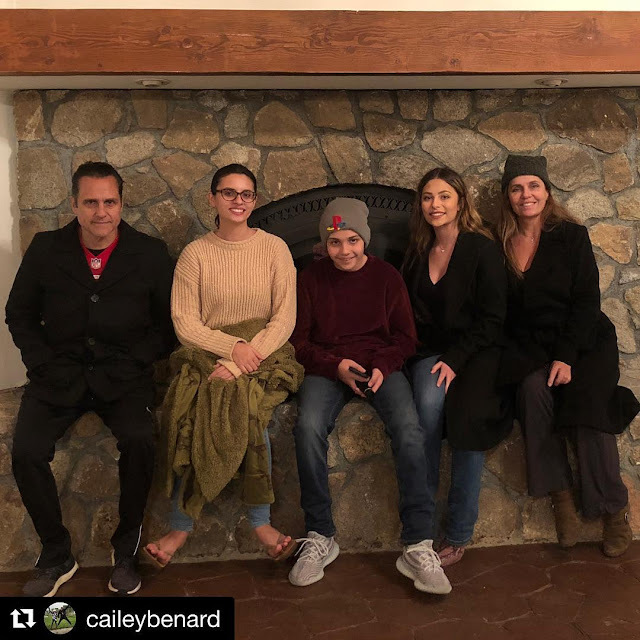 When he was just 22 years old, Maurice Benard was diagnosed with Manic Depression, a disease he has battled with over the years. Today, the actor continues to be an advocate for the disease around the world. 2. Maurice and his wife, Paula are lovers of animals. In fact, according to reports, the coupe has a menagerie which houses different animals including 2 cats, birds, a bulldog, snakes and even an aquarium filled with exotic fish. 3. Even though he is the idol of many people, Benard also has his own idol who is Al Pacino, one of the greatest American actors and filmmakers ever.